Should Runners Have Low Fat Or Full-Fat Dairy? 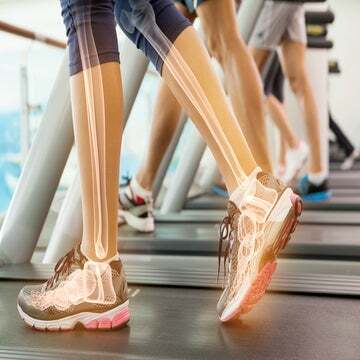 Should Runners Have Low Fat Or Full Fat Dairy? With everything we know about benefits of fat, some question whether we really need to opt for low-fat dairy products. Remember the 90’s when everyone was scared of fat? No-fat cookies and low-fat chips flooded supermarket shelves. Luckily those days have long past, but the low-fat craze still continues with one food group: Dairy. With everything we know about the benefits of fat, some are starting to question whether we really need to opt for low-fat dairy products or if full-fat dairy is the way to go. This is definitely a question runners should be asking, especially since they tend to need more nutrients and calories on a daily basis. Let’s look at the facts about dairy fat. 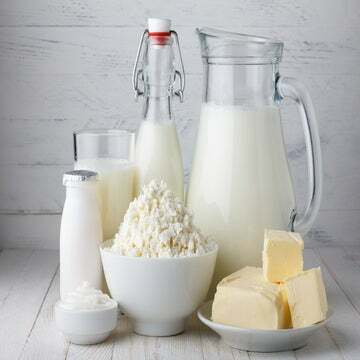 Low-fat dairy is so ingrained in our minds because food authorities, like , like The American Heart Association and USDA’s MyPlate, recommend low-fat dairy products as part of a healthy diet. Now that this recommendation is being questioned, it’s natural to wonder why everyone thought low-fat was the way to go in the first place? Because milk is made from animals, it contains saturated fat and cholesterol, which we once believed to be detrimental to a healthy diet. However, recent research suggests that saturated fat may not be associated with heart disease or other health related problems. The research on saturated fat is limited, so the 2015 Dietary Guidelines recommend no more than 10 percent of your calories comes from saturated fat. To put this into perspective, an 8-ounce glass of whole milk has 5 grams of saturated fat (or 45 calories). That’s only 2 percent of the calories in a 2,000 calorie diet. The other concern about full-fat dairy products is the cholesterol level. 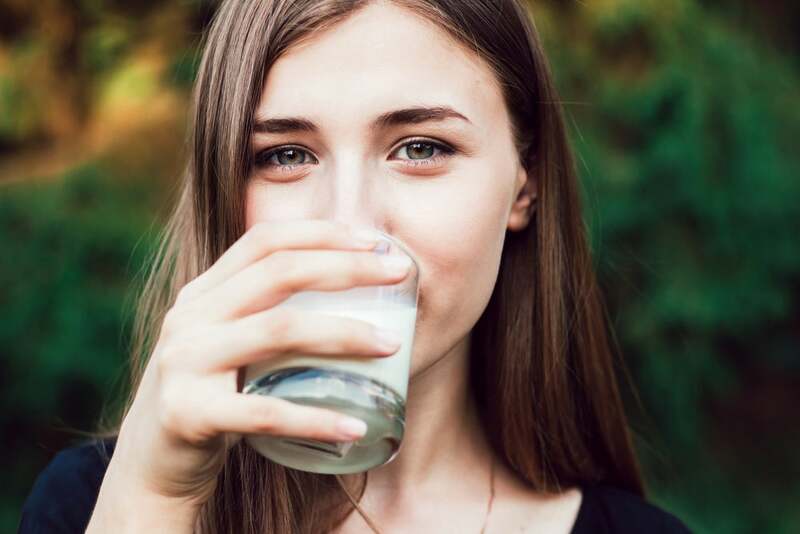 An 8-ounce glass of whole milk has 35 milligrams of cholesterol, while an 8-ounce serving of skim milk has less than 5 milligrams of cholesterol. While these numbers may sound alarming, this cause for concern has been completely laid to rest. The 2015 Dietary Guidelines did away with the daily cholesterol recommendation entirely. Research has found that eating foods with cholesterol does not raise blood cholesterol levels, making the difference in cholesterol between low-fat and full-fat dairy is irrelevant. If we aren’t worried about the saturated fat or cholesterol in whole milk, then what are we worried about? Good question! It turns out that we may have been concerned for nothing. Recent research shows that eating full-fat dairy may actually be inversely related with obesity. Many think that the amount of fat in full-fat dairy helps you feel fuller longer, causing you to actually eat less. Another study found that eating full-fat dairy products is not associated with developing Diabetes or heart disease. With these findings, we should all start to wonder if we really need to avoid the fat. What Type Of Dairy Is Best For Runners? For runners who want to maintain their weight, full-fat dairy may be the key. Not only does it have extra calories to replace the ones you burned off while running, but it also has extra fat to satiate your never-ending runner’s hunger (and stop you from eating something you probably shouldn’t). In the end, any source of milk will contain protein, carbohydrates and 9 vitamins and minerals, which are all necessary to stay strong and healthy. It’s really up to you to determine which dairy products you like better, but there’s no reason to avoid full-fat dairy. And, feel free to add a little chocolate to your milk after a long run, as a sweet added bonus. At the end of the day, the recommendations for full-fat dairy are the same ones that nutritionists have been shouting all along–everything in moderation.